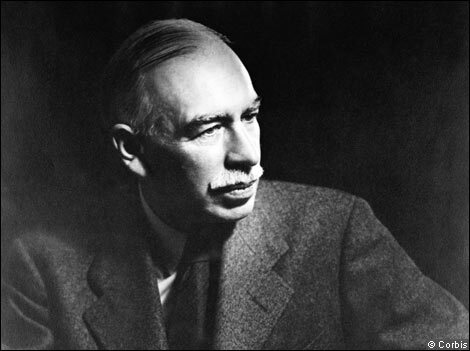 One of Keynes’s central tenets — in clear contradistinction to the beliefs of mainstream neoclassical economists — is that there is no strong automatic tendency for economies to move toward full employment levels in monetary economies. Money doesn’t matter in mainstream neoclassical macroeconomic models. That’s true. According to the ‘classical dichotomy,’ real variables — output and employment — are independent of monetary variables, and so enables mainstream economics to depict the economy as basically a barter system. In the 1870s, a handful of aspiring economists hoped to make economics a science as reputable as physics. Awed by Newton’s insights on the physical laws of motion – laws that so elegantly describe the trajectory of falling apples and orbiting moons – they sought to create an economic theory that matched his legacy. And so pioneering economists such as William Stanley Jevons and Léon Walras drew their diagrams in clear imitation of Newton’s style and, inspired by the way that gravity pulls a falling object to rest, wrote enthusiastically of the role played by market forces and mechanisms in pulling an economy into equilibrium. People and money are not so obedient as gravity, as it turns out, so no such laws exist. Their mechanical metaphor sounds authoritative, but it was ill-chosen from the start – a fact that has been widely acknowledged since the astonishing fragility and contagion of global financial markets was exposed by the 2008 crash. The most pernicious legacy of this fake physics has been to entice generations of economists into a misguided search for economic laws of motion that dictate the path of development. People and money are not as obedient as gravity, so no such laws exist. Yet their false discoveries have been used to justify growth-first policymaking. Two hundred years ago, on 19 April 1817, David Ricardo’s Principles was published. In it he presented a theory that was meant to explain why countries trade and, based on the concept of opportunity cost, how the pattern of export and import is ruled by countries exporting goods in which they have comparative advantage and importing goods in which they have a comparative disadvantage. Although a great accomplishment per se, Ricardo’s theory of comparative advantage, however, didn’t explain why the comparative advantage was the way it was. In the beginning of the 20th century, two Swedish economists — Eli Heckscher and Bertil Ohlin — presented a theory/model/theorem according to which the comparative advantages arose from differences in factor endowments between countries. Countries have a comparative advantages in producing goods that use up production factors that are most abundant in the different countries. Countries would mostly export goods that used the abundant factors of production and import goods that mostly used factors of productions that were scarce. (1) Countries use identical production technologies. (2) Production takes place with a constant returns to scale technology. (3) Within countries the factor substitutability is more or less infinite. (4) Factor-prices are equalised (the Stolper-Samuelson extension of the theorem). These assumptions are, as almost all empirical testing of the theorem has shown, totally unrealistic. That is, they are empirically false. That said, one could indeed wonder why on earth anyone should be interested in applying this theorem to real world situations. As so many other mainstream mathematical models taught to economics students today, this theorem has very little to do with the real world. Using false assumptions, mainstream modelers can derive whatever conclusions they want. Wanting to show that ‘free trade is great’ just e.g. assume ‘all economists from Chicago are right’ and ‘all economists from Chicago consider free trade to be great’ The conclusions follows by deduction — but is of course factually totally wrong. Models and theories building on that kind of reasoning is nothing but a pointless waste of time. What mainstream economics took over from Ricardo was not only the theory of comparative advantage. The whole deductive-axiomatic approach to economics that is still at the core of mainstream methodology was taken over from Ricardo. 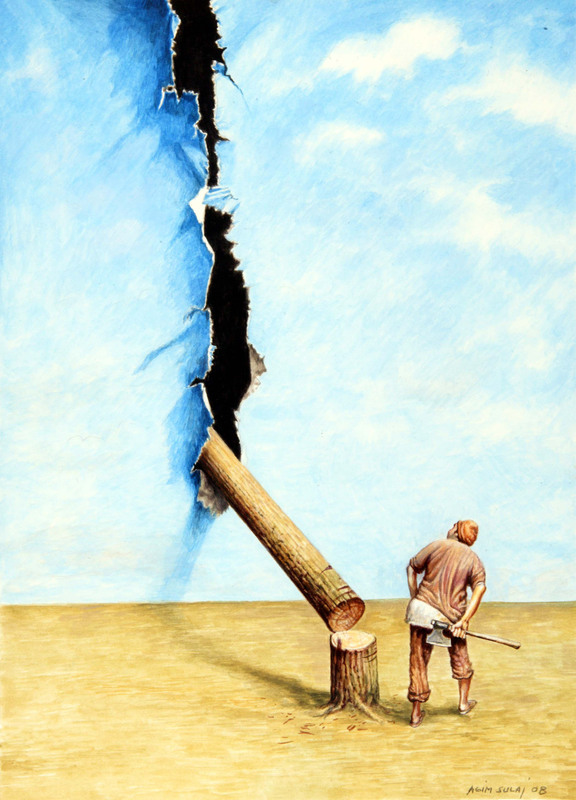 Nothing has been more detrimental to the development of economics than going down that barren path. Ricardo shunted the car of economic science on to the wrong track. Mainstream economics is still on that track. It’s high time to get on the right track and make economics a realist and relevant science. Is having infinitely many models really a sign of progress in economics? economic models are cases that come with explicit user’s guides — teaching notes on how to apply them. That’s because they are transparent about their critical assumptions and behavioral mechanisms. That is at odds with yours truly’s experience from studying mainstream economic models during four decades. When — just to take an example — criticizing the basic (DSGE) workhorse macroeconomic model for its inability to explain involuntary unemployment, its defenders maintain that later ‘successive approximations’ and elaborations — especially newer search models — manage to do just that. However, one of the more conspicuous problems with those ‘solutions,’ is that they are as a rule constructed without seriously trying to warrant that the model immanent assumptions and results are applicable in the real world. External validity is more or less a non-existent problematique sacrificed on the altar of model derivations. This is not by chance. These theories and models do not come at all with the transparent and ‘explicit user’s guides.’ And there’s a very obvious reason for that. For how could one even imagine to empirically test assumptions such as ‘wages being determined by Nash bargaining’ or ‘actors maximizing expected utility,’ without coming to the conclusion that this is — in terms of realism and relevance — far from ‘good enough’ or ‘close enough’ to real world situations? Typical mainstream neoclassical modeling assumptions — with or without due pragmatic considerations — can not in any relevant way be considered anything else but imagined model worlds assumptions that has nothing at all to do with the real world we happen to live in. Here is no real transparency as to the deeper significance and role of the chosen set of axiomatic assumptions. Here is no explicit user’s guide or indication of how we should be able to, as Rodrik puts it, ‘discriminate’ between the ‘bewildering array of possibilities’ that flow out of such outlandish and known to be false assumptions. Theoretical models building on piles of known to be false assumptions are in no way close to being scientific explanations. On the contrary. They are untestable and a fortiori totally worthless from the point of view of scientific relevance. One thing I still notice about macro … is the continued proliferation of models. Almost every macro paper has a theory section. Because it takes more than one empirical paper to properly test a theory, this means that theories are being created in macro at a far greater rate than they can be tested. It seems to me that if you want to make a field truly empirical, you don’t just need to look at data – you need to use data to toss out models, and model elements like the Euler equation … I also think macro people in general could stand to be more proactive about using new data to critically reexamine canonical assumptions … That seems like it’ll raise the chances that the macro consensus gets the next crisis right before it happens, rather than after. C’est vraiment incroyable que l’économie orthodoxe ait toujours négligé The Entropy Law and the Economic Process, un ouvrage fondamental et aussi important dans l’histoire de la pensée économique que General Theory de Keynes. Falling wages were a reality during the Great Depression, but that didn’t help matters. By 1933 in the United States, manufacturing wages fell 34 percent and unemployment rose to about 25 percent. The Canadian economy contracted by more than 40 percentand unemployment reached 30 percent in 1933. Collapses in wages did not bring better times; only the massive government spending to wage World War II put an end to the Depression. Moreover, already existing low wages come at a high cost. A 2015 study by the researchers at the University of California Berkeley Center for Labor Research and Education found that public benefits given to people who have jobs but can’t live on their meager wages cost the public more than $150 billion annually in the United States — more than half of total public-assistance spending by federal and state governments. Wal-Mart alone costs taxpayers an estimated $6 billion per year subsidizing the retailer’s low pay and paltry benefits at the same time it pays out similar amounts in dividends, half of which go to the Walton family. As all of you doing the jobs of two or three people at your place of employment have undoubtedly noticed, more work is not being rewarded with more pay. The average U.S. household earns about $18,000 less than it would had wages kept pace with productivity gains, and the average Canadian household is short at least $10,000 per year because of pay lagging productivity gains. Workers across Europe, including in Britain, Germany and Spain, have also seen pay lag productivity. 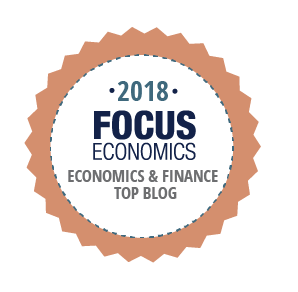 The only economic analysis that mainstream economists accept is the one that takes place within the analytic-formalistic modeling strategy that makes up the core of mainstream economics. All models and theories that do not live up to the precepts of the mainstream methodological canon are pruned. 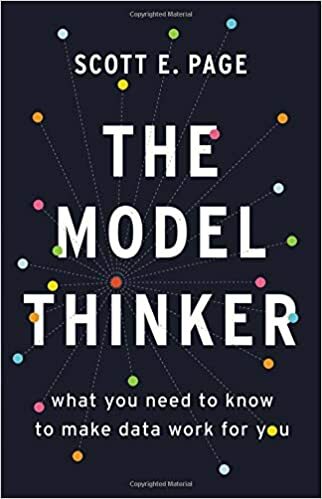 You’re free to take your models — not using (mathematical) models at all is considered totally unthinkable — and apply them to whatever you want — as long as you do it within the mainstream approach and its modeling strategy. Of course economics involves cases where economists appear too reluctant to give up their favoured models. You can find similar stories in the hard sciences. There will be more such stories in economics because the inexact nature of economics makes it easier to discount any single piece of evidence. What I cannot understand is what leads someone … to argue against the use of evidence, and instead that “economics is primarily a way of organizing one’s thinking”. Astrology is also a way of organising one’s thinking, but it fails because evidence does not back it up. That comparison is slightly unfair, because while the theory behind astrology is obviously implausible, the basic principles of microeconomics are not. In a class on economic methodology I once drew a huge tree that showed how most of economics could be derived from principles of rational choice. But go beyond the basics, and add in complications involving information and transactions costs (to name but two) and you very quickly derive competing models. There is no single model that comes from thinking like an economist, so for that reason alone we need data to tell us which models are more applicable. It’s hard not to agree that economics is a very inexact science. But — that’s actually not at all the way its mainstream überpriests present it. Especially not in their textbooks. There economics — the queen of social sciences — is portrayed as a rock-solid science on a par with physics. Reading those textbooks and the heaps of models and forecasts that people like Wren-Lewis produce, it’s hard to really see any difference between mainstream economics and astrology. They are both based on ‘basic principles’ that are ‘obviously implausible.’ We can always derive what ever we want by setting up a suitable set of axioms (‘principles of rational choice’). But as Wren-Lewis himself notices, confronting the theories and models built on those axioms (think of the four pillars of microeconomics — completeness, transitivity, non-satiation, and (when allowing for risk-reducible uncertainty) expected utility maximization) with reality immediately exposes the emptiness of the foundation and the need to ‘derive competing models’. Since the ‘thinness’ of the basic axiom system always forces the economist to supply very ‘thick’ stories to save the model, one really has to wonder: what’s the point? The way the axioms and theorems are formulated standardly leaves their specification without almost any restrictions whatsoever, safely making every imaginable evidence compatible with the all-embracing ‘theory’ — and a theory without informational content never risks being empirically tested and found falsified. Used in mainstream economics ‘thought experimental’ activities, it may of course be very ‘handy’, but totally void of any empirical value. In physics models are constructed and compared with observations to check if they provide precise explanations and successful predictions. But the miles that the laws of physics take us doesn’t have any equivalent in economics. There the non-existent ‘laws’ don’t move us one single millimeter. Mainstream economics is in the story-telling business whereby economic theorists create make-believe analogue models of the real economic system. This modeling activity is considered useful and essential. Since fully-fledged experiments on a societal scale as a rule are prohibitively expensive, ethically indefensible or unmanageable, economic theorists have to substitute experimenting with something else. To understand and explain relations between different entities in the real economy the predominant strategy is to build models and make things happen in these “analogue-economy models” rather than engineering things happening in real economies. Without strong evidence all kinds of absurd claims and nonsense may pretend to be science. We have to demand more of a justification than rather watered-down versions of “anything goes” when it comes to the main postulates on which mainstream economics is founded. If one proposes ‘efficient markets’ or ‘rational expectations’ one also has to support their underlying assumptions. As a rule none is given, which makes it rather puzzling how things like ‘representative agents,’ ‘efficient markets,’ and ‘rational expectations’ have become the standard modeling assumption made in much of modern macroeconomics. Models may be beautiful. But it’s — as empty an inexact economics shows — dangerous to mistake beauty for truth. Macroeconomists got comfortable with the idea that fluctuations in macroeconomic aggregates are caused by imaginary shocks, instead of actions that people take … In response to the observation that the shocks are imaginary, a standard defence invokes Milton Friedman’s (1953) methodological assertion from unnamed authority that ”the more significant the theory, the more unrealistic the assumptions.” More recently, ”all models are false” seems to have become the universal hand-wave for dismissing any fact that does not conform to the model that is the current favourite. To conclude with the most important message, yes, economics models do a poor job forecasting macroeconomic variables. This deserves to be exposed, discussed, and even sometimes ridiculed. Critics like Haldane (2016) are surely right, and the alternatives that they propose for improvement are definitely worth exploring. If nothing else, this may help the media and the public to start reporting and reading forecasts as probabilistic statements where the confidence bands or fan charts are as or more important than the point forecasts. But, before jumping to the conclusion that this is a damning critique of the state of macroeconomics, this section asked for an evaluation of forecasting performance in relative terms. Relative to other conditional predictions on the effectiveness of policies, relative to other forecasts for large diverse populations also made many years out, and relative to their accuracy per dollar of funding. From these perspectives, I am less convinced that economics forecasting is all that far behind other scientific fields. Yes, indeed, forecasting sure is difficult. On that we all agree. But having said that, it’s pretty perplexing that a mainstream macroeconomist who has spent a large part of his career developing macro models, with all of the more or less standard assumptions on rational representative agents making only stochastic mistakes confronting intermittent ‘shocks’ in DSGE models with risk reduced uncertainty, admits that the models perform poorly when it comes to forecasting. Isn’t that kind of admitting that there is a monumental gap between model and reality? And isn’t that what critics — who Reis spend a lot of the article criticising — have pointed at for decades now? So why do companies, governments, academic researchers, and central banks, continue with this more or less expensive, but obviously worthless, activity? A couple of years ago yours truly was interviewed by a public radio journalist working on a series on Great Economic Thinkers. We were discussing the monumental failures of the predictions-and-forecasts-business. But — the journalist asked — if these cocksure economists with their “rigorous” and “precise” mathematical-statistical-econometric models are so wrong again and again — why do they persist wasting time on it? To this one might also add some concerns about ideology and apologetics. Although Reis is — as most other mainstream economists — only reluctantly prepared to discuss ideology, it’s undeniable that forecasting certainly is a non-negligible part of the labour market for (mainstream) economists, and so, of course, those in the business do not want to admit that they are occupied with worthless things (not to mention how hard it would be to sell the product with that kind of frank truthfulness …). Governments, the finance sector and (central) banks also want to give the impression to customers and voters that they, so to say, have the situation under control (telling people that next years X will be 3.048 % makes wonders in that respect). Why else would anyone want to pay them or vote for them? These are sure not glamorous aspects of economics as a science, but as a scientist it would be unforgivably dishonest to pretend that economics doesn’t also perform an ideological function in society. And ultimately — who supplies these banks and companies with the basic models for the forecasting? People like Reis. I guess we have to allocate a part of the unforgivable dishonesty also to the academics that come up with blueprints for expensive and worthless activities. In the latest issue of Fronesis yours truly and a couple of other academics (e.g. Julie Nelson, Tony Lawson, and Phil Mirowski) made an effort at introducing its readers to heterodox economics and its critique of mainstream economics. Rather unsurprisingly this hasn’t pleased the Swedish economics establishment. On the mainstream economics blog Ekonomistas, professor Daniel Waldenström today rode out to defend the mainstream with the nowadays standard defense — heterodox critics haven’t understood that mainstream economics today has gone through a pluralist and empirical revolution. Since heterodox critics haven’t noticed that, their views on the mainstream project is more or less irrelevant. Well, the problem with that defense is that it has pretty little with reality to do. When mainstream economists today try to give a picture of modern economics as a pluralist enterprise, they silently ‘forget’ to mention that the change and diversity that gets their approval only takes place within the analytic-formalistic modeling strategy that makes up the core of mainstream economics. You’re free to take your analytical formalist models and apply it to whatever you want — as long as you do it with a modeling methodology that is acceptable to the mainstream. If you do not follow this particular mathematical-deductive analytical formalism you’re not even considered doing economics. If you haven’t modeled your thoughts, you’re not in the economics business. But this isn’t pluralism. It’s a methodological reductionist straightjacket. To most mainstream economists you only have knowledge of something when you can prove it, and so ‘proving’ theories with their models via deductions is considered the only certain way to acquire new knowledge. This is, however, a view for which there is no warranted epistemological foundation. Outside mathematics and logics, all human knowledge is conjectural and fallible. Validly deducing things in closed analytical-formalist-mathematical models — built on atomistic-reductionist assumptions — doesn’t much help us understand or explain what is taking place in the real world we happen to live in. Validly deducing things from patently unreal assumptions — that we all know are purely fictional — makes most of the modeling exercises pursued by mainstream macroeconomists rather pointless. It’s simply not the stuff that real understanding and explanation in science is made of. Had mainstream economists not been so in love with their smorgasbord of models, they would have perceived this too. Telling us that the plethora of models that make up modern macroeconomics ‘are not right or wrong,’ but ‘just more or less applicable to different situations,’ is nothing short of hand waving. Take macroeconomics as an example. Yes, there is a proliferation of macromodels nowadays — but it almost exclusively takes place as a kind of axiomatic variation within the standard DSGE modeling framework. And — no matter how many thousands of models mainstream economists come up with, as long as they are just axiomatic variations of the same old mathematical-deductive ilk, they will not take us one single inch closer to giving us relevant and usable means to further our understanding and explanation of real economies. Most mainstream economists seem to have no problem with this lack of fundamantal diversity — not just path-dependent elaborations of the mainstream canon — and the vanishingly little real world relevance that characterize modern macroeconomics. To these economists there is nothing basically wrong with ‘standard theory.’ As long as policy makers and economists stick to ‘standard economic analysis’ — DSGE — everything is fine. Economics is just a common language and method that makes us think straight and reach correct answers. 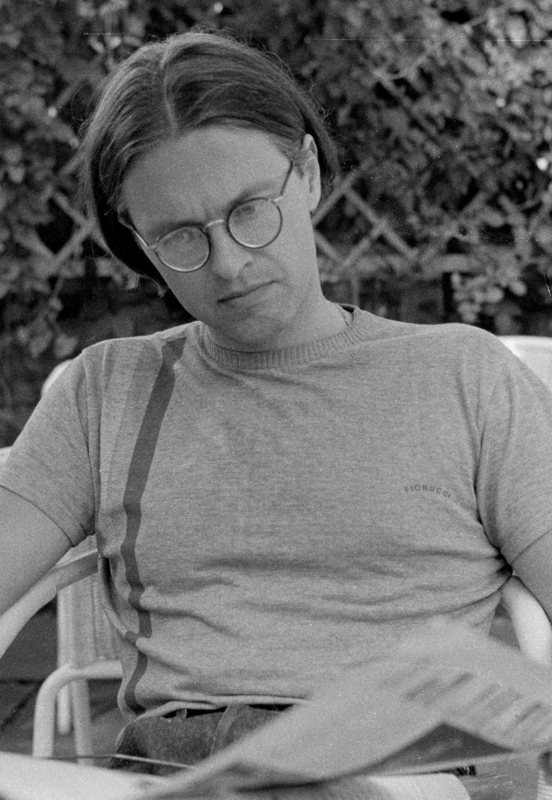 Daniel Waldenström — like so many other mainstream economists today — seems to maintain that new imaginative empirical methods — such as natural experiments, field experiments, lab experiments, RCTs — help us to answer questions concerning the validity of economic theories and models. Yours truly beg to differ. There are few real reasons to share his optimism on the alleged pluralist and empirical revolution in economics. I am basically — though not without reservations — in favour of the increased use of experiments and field studies within economics. Not least as an alternative to completely barren ‘bridge-less’ axiomatic-deductive theory models. My criticism is more about aspiration levels and what we believe that we can achieve with our mediational epistemological tools and methods in the social sciences. The increasing use of natural and quasi-natural experiments in economics during the last couple of decades has led several prominent economists to triumphantly declare it as a major step on a recent path toward empirics, where instead of being a deductive philosophy, economics is now increasingly becoming an inductive science. In randomized trials the researchers try to find out the causal effects that different variables of interest may have by changing circumstances randomly — a procedure somewhat (‘on average’) equivalent to the usual ceteris paribus assumption). Just as e.g. econometrics, randomization promises more than it can deliver, basically because it requires assumptions that in practice are not possible to maintain. Like econometrics, randomization is basically a deductive method. Real target systems are seldom epistemically isomorphic to our axiomatic-deductive models/systems, and even if they were, we still have to argue for the external validity of the conclusions reached from within these epistemically convenient models/systems. Causal evidence generated by randomization procedures may be valid in ‘closed’ models, but what we usually are interested in, is causal evidence in the real target system we happen to live in. ‘Ideally controlled experiments’ tell us with certainty what causes what effects — but only given the right ‘closures.’ Making appropriate extrapolations from (ideal, accidental, natural or quasi) experiments to different settings, populations or target systems, is not easy. ‘It works there ‘s no evidence for ‘it will work here.’ Causes deduced in an experimental setting still have to show that they come with an export-warrant to the target population/system. The causal background assumptions made have to be justified, and without licenses to export, the value of ‘rigorous’ and ‘precise’ methods — and ‘on-average-knowledge’ — is despairingly small. So, no, I find it hard to share Waldenström’s and other mainstream economists’ enthusiasm and optimism on the value of the latest ‘empirical’ trends in mainstream economics. I would argue that although different ‘empirical’ approaches have been — more or less — integrated into mainstream economics, there is still a long way to go before economics has become a truly empirical science. Heterodox critics are not ill-informed about the development of mainstream economics. Its methodology is still the same basic neoclassical one. It’s still non-pluralist. And although more and more economists work within the field of ‘empirical’ economics, the foundation and ‘self-evident’ bench-mark is still of the neoclassical deductive-axiomatic ilk. Sad to say, but we still have to wait for the revolution that will make economics an empirical and truly pluralist and relevant science. Until then, why not read Fronesis and get a glimpse of the future to come? Mainstream economics belongs to the past. 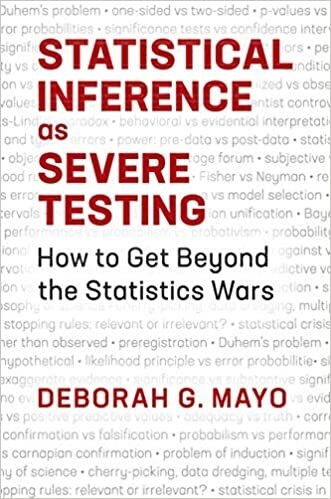 Coupled with downright incompetence in statistics, we often find the syndrome that I have come to call statisticism: the notion that computing is synonymous with doing research, the naïve faith that statistics is a complete or sufficient basis for scientific methodology, the superstition that statistical formulas exist for evaluating such things as the relative merits of different substantive theories or the “importance” of the causes of a “dependent variable”; and the delusion that decomposing the covariations of some arbitrary and haphazardly assembled collection of variables can somehow justify not only a “causal model” but also, praise a mark, a “measurement model.” There would be no point in deploring such caricatures of the scientific enterprise if there were a clearly identifiable sector of social science research wherein such fallacies were clearly recognized and emphatically out of bounds. A standard view among econometricians and other economists working with statistical models, is that their models are only in the mind. From a realist point of view, that is a rather untenable view. The reason we as scientists are interested in things is that they are parts of the way the world works. We represent the workings of things in the real world by means of models, but that doesn’t mean that things aren’t facts pertaining to relations and structures that exist in the real world. If they were only ”in the mind,” most of us wouldn’t care less. The econometricians’ nominalist-positivist view of science and models — the belief that science can only deal with observable regularity patterns of a more or less lawlike kind — implies that only data matters. Trying to go beyond observed data in search of the underlying real factors and relations that generate the data is not admissible. The real factors and relations according to the econometric methodology are beyond reach since they allegedly are both unobservable and unmeasurable. This also means that instead of treating the model-based findings as interesting clues for digging deepeer into real structures and mechanisms, they are treated as the end points of the investigation. If econometrics is to progress, it has to abandon its outdated nominalist-positivist view of science and the belief that science can only deal with observable regularity patterns of a more or less law-like kind. Scientific theories ought to do more than just describe event-regularities and patterns — they also have to analyze and describe the mechanisms, structures, and processes that give birth to these patterns and eventual regularities. The marginal return on its ever higher technical sophistication in no way makes up for the lack of serious under-labouring of the deeper philosophical and methodological foundations of mainstream economics. Admiration for technical virtuosity should not blind us to the fact that we have to have a cautious attitude towards probabilistic inferences in economic contexts. A rigorous application of statistical and econometric methods in economics really presupposes that the phenomena of our real world economies are ruled by stable causal relations between variables. But real world social systems are not governed by stable causal mechanisms or capacities! That rather embarrassing fact makes most of the achievements of econometrics — as most of contemporary endeavours of mainstream economic statistical modeling — rather useless. So far we have shown that for two prominent questions in the economics of education, experimental and non-experimental estimates appear to be in tension. Furthermore, experimental results across different contexts are often in tension with each other. The first tension presents policymakers with a trade-off between the internal validity of estimates from the ”wrong” context, and the greater external validity of observational data analysis from the ”right” context. The second tension, between equally well-identifed results across contexts, suggests that the resolution of this trade-off is not trivial. There appears to be genuine heterogeneity in the true causal parameter across contexts. it is plausible that a development practitioner confronting questions related to class size, private schooling, or the labor-market returns to education would confront a dearth of well-identified, experimental or quasi-experimental evidence from the country or context in which they are working. They would instead be forced to choose between less internally valid OLS estimates, and more internally valid experimental estimates produced in a very different setting. For all five of the examples explored here, the literature provides a compelling case that policymakers interested in minimizing the error of their parameter estimates would do well to prioritize careful thinking about local evidence over rigorously-estimated causal effects from the wrong context. Few economists think about methodology, but the methodological foundation of neoclassical economics is Milton Friedman’s (1953) version of ‘positivism.’ Positivism asserts two important theses. First, neither the extent to which the assumption set of a theory incorporates all the core elements of the phenomenon under investigation, nor the institutional or behavioral or empirical realism of the assumptions adopted matter in evaluating their validity or usefulness. The “relation between the significance of a theory and the “realism” of its “assumptions” is almost the opposite of that suggested by [critics of positivism]. Truly important and significant hypotheses will be found to have “assumptions” that are wildly inaccurate descriptive representations of reality…” (Friedman 1953, p. 14). Second, it is impossible to determine whether one assumption is more realistic than another. 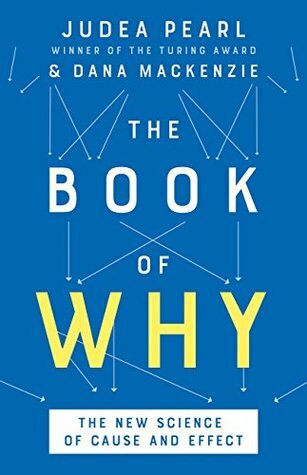 A theory “cannot be tested by comparing its “assumptions” directly with “reality.” Indeed, there is no meaningful way in which this can be done” (p. 41). The only legitimate test of a theory, then, is whether its derived hypotheses can be used to make predictions that are consistent with relevant data: “The only relevant test of the validity of a hypothesis is comparison of its predictions with experience” (Friedman 1953, p. 9). Since prediction testing of necessity involves ceteris paribus assumptions, in practice the profession relies on econometric hypothesis-testing with past data. Milton Friedman was not only an economist; he was an energetic conservative political activist as well. His positivist methodology made it possible for conservative economists to use an absurd set of assumptions that no one would accept as a reasonable description of real- world capitalism to generate wide-spread acceptance of the proposition that unregulated capitalism is an ideal system. Realistic assumptions lead to theories that show both the strengths but also the myriad dangers and failures of unregulated capitalism contained in the historical record. But positivism made possible a ‘scientific’ defense of the proposition that capitalism has no dangers and failures. In other words, Friedman’s positivism insulates flawed theories of capitalism that cannot explain or predict the actual behavior of capitalism from effective criticism. Economics may be an informative tool for research. But if its practitioners do not investigate and make an effort of providing a justification for the credibility of the assumptions on which they erect their building, it will not fulfill its task. There is a gap between its aspirations and its accomplishments, and without more supportive evidence to substantiate its claims, critics like James Crotty — and yours truly — will continue to consider its ultimate arguments as a mixture of rather unhelpful metaphors and metaphysics. The marginal return on its ever higher technical sophistication in no way makes up for the lack of serious under-labouring of its deeper philosophical and methodological foundations. A rigorous application of economic methods really presupposes that the phenomena of our real world economies are ruled by stable causal relations. Unfortunately, real world social systems are usually not governed by stable causal mechanisms or capacities. The kinds of ‘laws’ and relations that economics has established, are laws and relations about entities in models that presuppose causal mechanisms being invariant, atomistic and additive. But — when causal mechanisms operate in the real world they only do it in ever-changing and unstable combinations where the whole is more than a mechanical sum of parts. If economic regularities obtain they do it as a rule only because we engineered them for that purpose. Outside man-made ‘nomological machines’ they are rare, or even non-existant. Sticky wages is not the problem! The stickiness of wages seems to be one of the key stylized facts of economics. For some reason, the idea that sticky wages may be the key to explaining business-cycle downturns in which output and employment — not just prices and nominal incomes — fall is now widely supposed to have been a, if not the, major theoretical contribution of Keynes in the General Theory. The association between sticky wages and Keynes is a rather startling, and altogether unfounded, inversion of what Keynes actually wrote in the General Theory, heaping scorn on what he called the “classical” doctrine that cyclical (or in Keynesian terminology “involuntary”) unemployment could be attributed to the failure of nominal wages to fall in response to a reduction in aggregate demand. Keynes never stopped insisting that the key defining characteristic of “involuntary” unemployment is that a nominal-wage reduction would not reduce “involuntary” unemployment. The very definition of involuntary unemployment is that it can only be eliminated by an increase in the price level, but not by a reduction in nominal wages. Keynes devoted three entire chapters (19-21) in the General Theory to making, and mathematically proving, that argument … So it’s really quite astonishing — and amusing — to observe that, in the current upside-down world of modern macroeconomics, what differentiates New Classical from New Keynesian macroeconomists is that macroecoomists of the New Classical variety, dismissing wage stickiness as non-existent or empirically unimportant, assume that cyclical fluctuations in employment result from high rates of intertemporal substitution by labor in response to fluctuations in labor productivity, while macroeconomists of the New Keynesian variety argue that it is nominal-wage stickiness that prevents the steep cuts in nominal wages required to maintain employment in the face of exogenous shocks in aggregate demand or supply. New Classical and New Keynesian indeed! There are — as Glasner notes — unfortunately a lot of mainstream (neoclassical) economists out there, who still think that price and wage rigidities are the prime movers behind unemployment. And I’m totally gobsmacked every time I come across the even more ridiculous misapprehension that these rigidities should be the reason Keynes gave for the high unemployment of the Great Depression. This is of course pure nonsense. For although Keynes in General Theory (1936) devoted substantial attention to the subject of wage and price rigidities, he certainly did not hold this view. In any specific labour market, lower wages could, of course, raise the demand for labour. But a general reduction in money wages would leave real wages more or less unchanged. The reasoning of the classical economists was, according to Keynes, a flagrant example of the ‘fallacy of composition.’ Assuming that since unions/workers in a specific labour market could negotiate real wage reductions via lowering nominal wages, unions/workers in general could do the same, the classics confused micro with macro. So, what Keynes actually did argue in General Theory, was that the classical proposition that lowering wages would lower unemployment and ultimately take economies out of depressions, was ill-founded and wrong. The general view of most policymakers and analysts is that if firms, in aggregate, increase workers’ wages before there has been an increase in national productivity, the result will simply be a damaging burst of economy-wide inflation as too much money chases too few goods and services. If the chicken follows the egg, perhaps wage increases will prompt higher productivity in firms that employ low-wage labour. Perhaps, in order to protect their profit margins, managements will be spurred into increasing the efficiency of their operations. Perhaps they will invest in more capital equipment to enable their workforce to produce more per hour of their time. Intimating that one could solve economic problems by impairing unemployment compensations and cutting wages, in these dire times, should really be taken more as a sign of how low the confidence in our economic system has sunk. Wage cuts and lower unemployment compensation levels – of course – don’t save neither competitiveness, nor jobs. On a societal level wage cuts only increase the risk of more people getting unemployed. To think that one can solve economic crisis in this way is a turning back to those faulty economic theories and policies that John Maynard Keynes conlusively showed to be wrong already in the 1930s. It was theories and policies that made millions of people all over the world unemployed. Distributional policies that are likely to increase the wage share and reduce wage dispersion include increasing or establishing minimum wages, strengthening social security systems, improving union legislation and increasing the reach of collective bargaining agreements. All of these policies go against orthodox economic wisdom and, under the perceived pressure to reduce public budget deficits, current economic policy seems to be moving in the opposite direction, with calls for government austerity policies, which are most likely to affect the middle class and the poor, and calls for structural reforms, which are a euphemism for more flexible labour markets and reduced wage rates. However, in times of crisis and a lack of effective demand, what economies need is more state involvement, not less. A successful policy package to economic recovery needs to have sustained wage growth as one of its core building blocks. Only when wages grow with productivity growth will consumption expenditures grow without rising debt levels. In this quandary individual producers base illusory hopes on courses of action which would benefit an individual producer or class of producers so long as they were alone in pursuing them, but which benefit no one if everyone pursues them … If a particular producer or a particular country cuts wages, then, so long as others do not follow suit, that producer or that country is able to get more of what trade is going. But if wages are cut all round, the purchasing power of the community as a whole is reduced by the same amount as the reduction of costs; and, again, no one is further forward. Thus neither the restriction of output nor the reduction of wages serves in itself to restore equilibrium.